Your animals are captivating enjoyable wonderful creatures - Ricki, looks like he is having a fine time with the yarn :) L/F!! Hi Bob, Thank you for your gracious compliments! 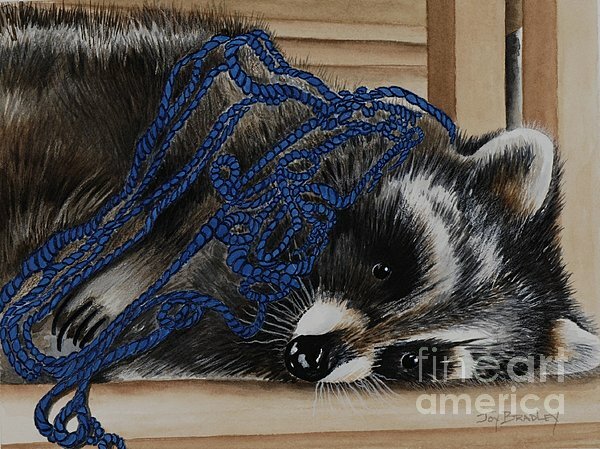 Ricki was one of the racoons we raised as kids growing up in Maine He was rescued... Had to rescue him from the yarn too!! Thank you Cori, I rescued him from 6 weeks old!! Thank you Jolante!! Much appreciated!! Thank you Jose much appreciated!! This is truly adorable and I love the title!!!! You have a lovely gallery of work! :) Fave and vote! Thank you Angela! Much appreciated! Thank you for the feature Judy!! Lovely work, Joy! Thank you for your kind comment on my dad's painting. Joy, what a wonderful piece of artwork...... Just fabulous. Love it and LOVE the title! This one is Great !!!!!!!! Very nice, I have a pic of my sisters German Shepard with two baby orphaned racoons. 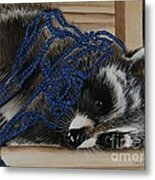 Loves racoons. Thanks for the compliment on my work Joy. Your work is superb! Quite a variety of styles and subjects. This painting (as all your paintings) is wonderful! Very impressed Joy. Thank you Bob!! We had six of them. They were a lot of fun. 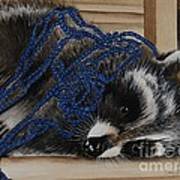 The Yarn Won Ricki the raccoon was playing with yarn and got tangled up. The yarn won! 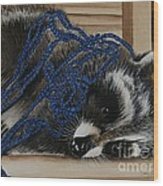 FEATURED IN: Our Four Legged Friends Group Obsessed Painters Paintings Group Original Watercolor painting By Joy Bradley DiNardo Designs The original is for sale. Holbein Watercolors on Aches 140lb watercolor paper. All Rights Reserved.